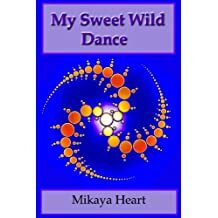 Mikaya Heart’s My Sweet Wild Dance is not an artistic masterpiece, nor is it meant to be. It is, however, a clear, well-written and honest coming of age story that most readers should find interesting at the very least. Based on Heart’s own life, the book follows the main character Christine as she grows from a confused, frustrated child in Scotland, to a young angry teen and finally, to a spiritually calm middle-aged woman living in California. Through this journey, Christine overcomes gender and class stereotypes, the demands of her parents, childhood sexual abuse and her own negativity by discovering her sexual identity as a lesbian and through travel and spiritualism. The story begins with something of a warning that though it is a “true story,” it is only Heart’s version of the truth. She says the book is not meant to have a moral but to show Christine’s path through the difficulties of life and to inspire and entertain others. Overall, My Sweet Wild Dance succeeds in that goal. After the preface, a prologue and the first chapter introduce us to Christine as a self-confident adult before leading into a mostly chronological account of her life from about age five to her 50s. The first half of the book is set in the U.K. and the second half covers Christine’s life in the U.S.
Told in short chapters broken into smaller sections, the book is easy to get through and should appeal to those who like their reading material in small doses. However, the fragmented structure can sometimes be a bit disorienting. There are times, especially in the latter half of the book, where some sections in a chapter don’t quite relate to each other or flow as nicely as they could. The structure isn’t a disaster but some readers may find it too choppy for their liking. Also, some scenes don’t seem necessary to advance the plot while others leave us wishing Heart had stayed with them longer and fleshed them out a bit more. A good example of one of these beautiful scenes is the stream Christine plays in as a child. Here, Christine learns “what will feel solid when [she] touch[es] it and what (such as the weeds or the illusory water itself) will disappear between [her] fingers like air.” This scene mirrors the contrast of how polite the adult world is supposed to be with how harmful it is to Christine in reality, a major theme in this part of the book. Yet, often, we don’t get as strong a sense of the people and places in the book as we would like because these scenes begin and end suddenly. Characters and places flash into Christine’s life like sparks and disappear just as quickly. But, as the preface states, the book is about Christine working through and exploring her feelings rather than bringing settings and characters to life. It is Christine’s bravery and gutsiness in facing great difficulty that keeps us reading in spite of her flaws. Throughout the book, Christine refuses to give in. She battles through the effects of her father’s bullying to finally stop submitting to men and avoids conforming to her mother’s idea of an upper-class Scottish lady by becoming a hippy, political activist and, later, an agricultural mechanic and kiteboarder. Lastly, she overcomes the grief and anger of her experience with sexually abusive men through a heightened spiritual awareness and through her world travels, the beauty of nature and the love she finds with women. Heart, like Christine, also shows courage in her use of language in the book. For the most part, the language is plain and uncensored though it tends to be almost raving during Christine’s spiritual and sexual experiences, matching the emotional intensity of these events. Heart leaves nothing back in describing Christine’s sexual relationships and the sexual abuse she suffers as a child. As a result, the first half of the book and the flashbacks in the second are tough to get through because of the number of upsetting abuse scenes. However, the book is also filled with plenty of humour to lighten things up and Christine’s eventual triumph over this abuse makes up for the pain. Finally, though readers may also find parts of the book repetitive – Christine’s constant cycle of falling in love with new women and then losing interest is one example – the spiritual growth and power Christine attains is just too interesting to pay much heed to the book’s few problems. As Christine says near the end of the book, “From the perspective of All-that-is, things aren’t so serious. Often they are simply experiences.” Ultimately, My Sweet Wild Dance is a record of both simple and extraordinary spiritual experiences that should leave all but the most cynical of readers uplifted.